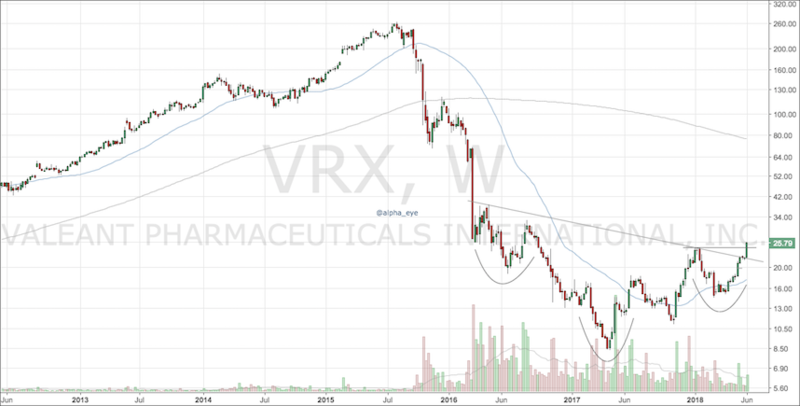 Following a massive price and sentiment decline, Valeant Pharmaceuticals (NYSE:VRX) is emerging from a head and shoulders bottom after two years of constructive price action. Normally, I am not interested in stocks that have been crushed like Valeant has but, in my opinion, this stock has mean reversion written all over it. Time for some mean reversion? 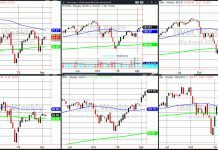 Mean reversions are commonplace in the stock market and what I’ve noticed is that mean reversions are much more likely to happen off the lows rather than the highs. Valeant is having a constructive 2018 up nearly 20% YTD. It is also up 200% off the lows as the chart continues to put in higher highs and lower lows. If I had to place a bet on higher or lower prices in the near future, I am willing to bet we see higher. A mean reversion back towards the 200 week simple moving average would not be unheard of – say $75 as of writing. So where do we get long? The risk is clearly defined if we are above 24.50, which is the 2018 highs as well as the neckline of the head and shoulders. If the stock is strong, it should stay above that. If it can’t, I would be selling as it may be a false move if it begins flirting with the neckline again. In today’s market, my preference is to be long stocks continuing to make new highs. While Valeant isn’t making new all-time-highs, it does qualify for making new 52-week highs. Don’t get caught up on what Valeant used to do or what the story was. Focus on price. Things change and Valeant is a stock worth owning or keeping a close eye on.